Actual Headline: Legally bonded, awaiting VISA status,with a residence in San Francisco, SPOTTED in San Francisco. Thank God the elections are soon, because watching the sharks of a administration run by someone that I can only refer to as “co-conspirator” IF everything they charge the Martinelli family with is correct, is growing tiresome. Zuleyka continues the mass manhunt for Who Exactly? I mean what is the headline,,,ACTUALLY. Well I provided one that seems to be more accurate. 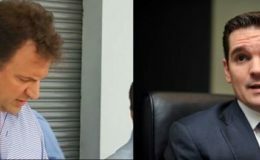 The Public Ministry is awaiting a response from the authorities of the United States regarding the two requests for extradition of brothers Luis Enrique and Ricardo Alberto Martinelli Linares , investigated in two trials for the alleged commission of the crime of money laundering. Judicial sources confirmed to this newspaper that the Special Anticorruption Prosecutor, in charge of Zuleyka Moore, sent to the Panamanian Ministry of Foreign Affairs elements that had not been included in the original extradition request, which is related to the investigation related to the bribes it paid in the country the Brazilian construction company Odebrecht, one of the cases in which the Martinelli Linares brothers are investigated. The additional information comes from the approval hearing of the collaboration agreements agreed by the Public Prosecutor’s Office with Odebrecht executives André Rabello, Olivio Rodrigues Junior and Luiz Eduardo Da Rocha Soares, carried out by the Twelfth Criminal Court on November 9, 2017. This information, which was duly transcribed and translated, should be attached as a supplement to the extradition request, made to the United States on May 14, 2018. Luis Enrique and Ricardo Alberto Martinelli Linares are awaiting a hearing before the immigration authorities of the United States, which will define their status in that country. As part of this process, Panama asked Interpol to disseminate two red alerts, so that the sons of former President Ricardo Martinelli can be detained and extradited to the country, so that they can give their defense before the Anti-Corruption Prosecutor. 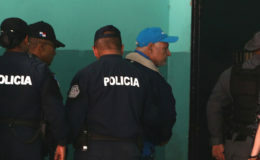 The other process by which Panama asked the United States for the extradition of Luis Enrique and Ricardo Alberto Martinelli Linares – in October 2018 – is in the hands of the Sixth Anti-Corruption Prosecutor’s Office and relates to the alleged payment of bribes by State contractors to past government officials in exchange for contracts, a case known as Blue Apple. In this case, the Public Prosecutor’s Office also requested Interpol to issue red alerts for the capture and extradition of the brothers. On this request for extradition, the sixth anti-corruption prosecutor, Aurelio Vásquez, also awaits a response from the United States. In as much, Ricardo Alberto Martinelli Linares also is processed by the presumed commission of crimes against the public administration (embezzlement), after supposed irregularities in the contract of televised bingo Buko Millonario. Martinelli Linares has not appeared in this process either, whose instruction began in the Public Ministry in 2016. The brothers were arrested on November 20, 2018 by the Immigration and Customs Enforcement Service of the US Department of Homeland Security at their residence at Sunrise Terrace, Coral Gables, Miami. In an audience held on December 4 of the same year, the Martinelli Linares brothers were granted bail bonds of one million dollars each. 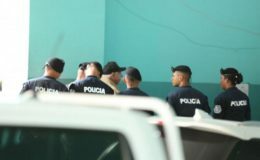 The immigration judge Adam Opaciuch, in charge of the case, granted the bonds, but did not take any final decision regarding the deportation or extradition of the two sons of former President Martinelli. The current status of this process is unknown. The last hearing convened was for January 22 at the Immigration Court in Miami, but the act was suspended due to the partial closure of the United States government. Recently, the publication of photos by Ricardo Alberto Martinelli Linares at the Waterbar restaurant in San Francisco, United States, caused a stir on social networks. The fact was publicly known on February 19, in the Instagram account of the Brazilian relation Lorenzo Martone. 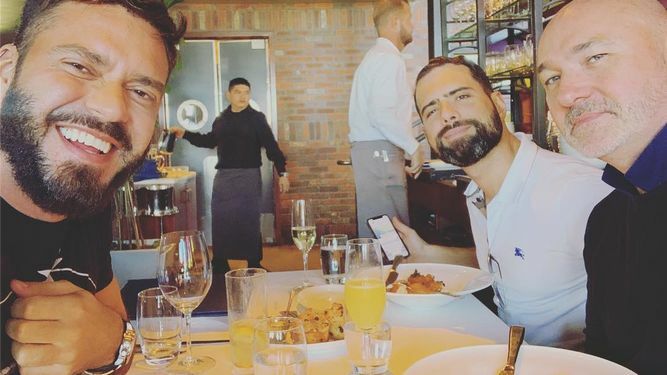 In the photos appears Martinelli Linares, Martone and other friends. Ricardo Alberto Martinelli Linares is a resident of a luxury apartment complex in Fremont Street, San Francisco, according to a report commissioned by Transparency International, based on data available from US public records, according to information published by this newspaper in June 2018.